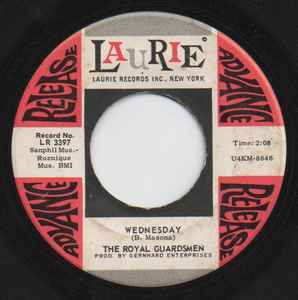 Some pressings list the A-side title as "Any Wednesday". The B-side, "So Right (To Be In Love)", was later released as the B-side of "Baby Let's Wait" (Laurie 3461) in 1968. This version has specific label with "Advance Release" printed on the label. Ironically, the side with "So Right (To Be In Love)" to have the 'stars' on the label indicating it as the plug side.